Imagine going to the grocery store with peanut butter on your list. When you get there, you realize there are over 20 different types of peanut butter – smooth, chunky, light, reduced fat, natural, organic, etc. Then, try to compare the nutrition labels and ingredients. This is a difficult task! We know healthy eating is important. However, too many choices, difficult words, and limited time make such selection frustrating. Well, it has just gotten a bit simpler – all you need is a smart phone. Here are some phone apps (most are free) for you and your students that make healthy eating as easy as pie. 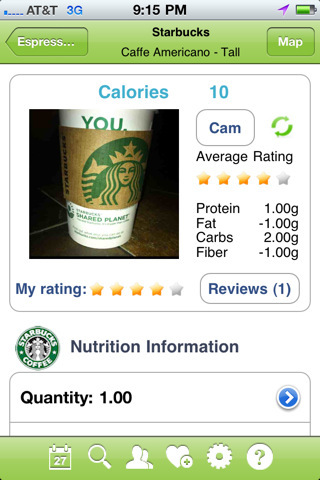 Fooducate is an app that allows you to scan a food item’s UPC barcode – it then displays a grade (A through F) for the nutrient density of that food – the more dense with nutrients, the better it is for you. The grading takes into account such things as high salt content, high fructose corn syrup, additives, trans fats, and artificial colors and flavors. 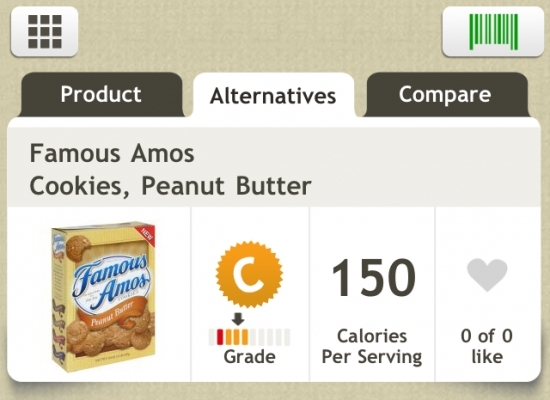 Each food item is graded, calories and notes are provided, and healthier food choices are listed as alternatives. The Water Works app tracks how much water you drink in a day, and then charts your progress over time. 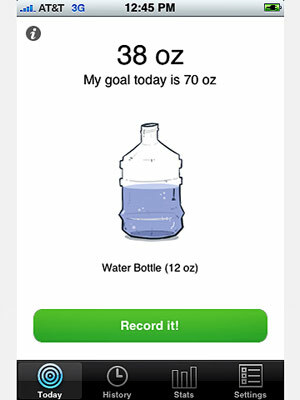 The more water you drink, the more water fills the on-screen jug until you reach your goal. Especially in these scorching summer months, it is important to stay hydrated – this app will help you do just that. Similar to the water app, this app records the number of fruits and vegetables you eat each day. 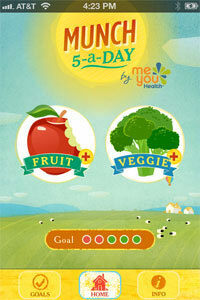 Fun sounds and screen rewards encourage you to eat more produce, a great way to get nutrients and fiber. The app also tracks and charts your progress for the day, week, and month so you can see your improvement. Seasonal produce is often the most affordable and best tasting. 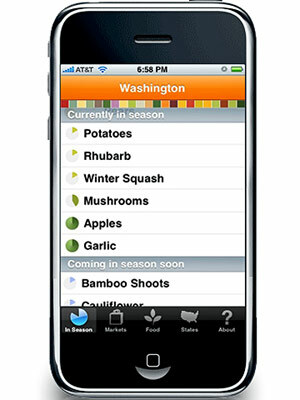 Plug your state into this app, and it will list the foods that are at their peak freshness. It also maps the locations of nearby farmer’s markets, so you can buy locally too. The Nutrition Tips app is just that – over 500 useful tips to help you remember, understand, and learn good nutrition. At home, you know exactly what you put into a dish when cooking. When you go out to eat, however, it is hard to know exactly what you are eating and whether it is as healthy as you might think. This app provides the calorie, carbs, protein, and fat content for more than 60,000 menu items in over 250 restaurants, helping you find the nutrition fit that works for you. If you’re hungry and can’t decide where to go for dinner, this app is perfect. 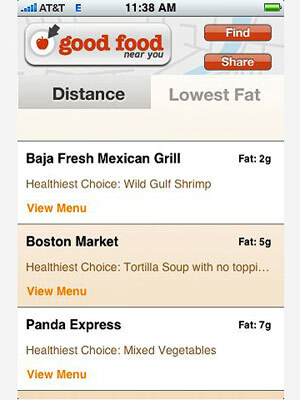 Type in your location, and this app will list healthy options at nearby restaurants – based on fat content or based on the distance from your location. Now there are no excuses – healthy eating is just a click away. Enjoy – bon appétit! Education should be in the form of graphics, plain language, and a manageable list of appropriate resources. Military life and culture by nature are complex; the types of injuries sustained by our service members are particularly complex as they incorporate both psychological and physical issues. While there are many excellent resources available to our service members and vets, they are not always ‘easy’ to find. The internet, Twitter, Facebook, and other social media platforms are almost always a cacophony of electronic noise. If the individual has a traumatic brain injury or PTSD, or becomes suicidal, it becomes almost impossible to find appropriate resources. Family members of married and single Service Members do not generally receive service-sponsored education and training in suicide prevention. When training is offered to family members and friends, many obstacles prevent wider attendance. A significant number of Service Member suicides occur in the context of friends and family members having recognized out-of-the-ordinary behaviors by their loved ones in the days and weeks before the suicide event. Some family members who lost loved ones to suicide reported that they “knew something was not right” but were unaware of the significance of what they were “seeing,” especially post-deployment changes and stress reactions. When family members did recognize the significance of distress, they often reported that they did not know whom to call for help. Often family members feel as though they are left on their own to endure the personal pain and struggles of their loved one in the Armed Forces, with no one to turn to. All too often, these loved ones have no idea how to access vital support systems. This is especially true for non-local family members, such as parents and siblings of single Service Members who see their loved ones only when they are on leave. The importance of the military family’s role is increasingly being recognized in a wide variety of mental health, traumatic brain injury, and suicide prevention programs. Generally, family members do not receive the Services’ education and training programs and are usually unaware of resources available to support Service Members and their families. As health information literacy educators, we can all make a difference in a service member or veteran’s life. Even if you don’t work directly with this population, chances are you know of someone who has a loved one either serving in the military or who is a veteran. I will put the reference citations used for this article on my web site: Military Health Matters. *I would add the DoD and Veterans Affairs (VA) have been making extraordinary strides to remedy these issues and their efforts are beginning to pay off. Karen Estrada, M.S. 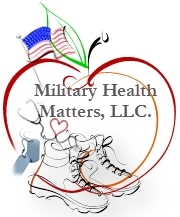 Military Health Matters, LLC. As we approach the end of Health Literacy Month, I would like to share some of my observations regarding health literacy and the military. There is a scarcity of published medical literature concerning the association of ‘health literacy’ and military members. One study by Weld (2009) concluded a favorable health literacy rate among active duty service members as compared to the national population. This is in part due to ‘universal access’ to health care and structural access. In addition, the level of health literacy would be influenced by enlistment standards (both educational and language), but not socioeconomic factors. Health literacy is an empowering factor that allows the patient to be an engaged and active participant in their health care rather than passive. When a service member goes from a ‘warrior’ to wounded, they lose their sense of control over almost everything and anything. While ‘loss of control’ is challenging to any human being, for a service member it can be quite devastating. Access to quality care (shortages, e.g., mental health specialists). Locality (location near a health facility, whether a base or a VA facility). Chronic fear (for both the deployed and family members left behind). While there are many factors that cannot be changed, in all the time I have worked with service members, vets and their families, I have consistently found one common element that indeed could be very effective in improving health outcomes and begin breaking down the barriers: education. Numbers, numbers, numbers. Just like words, they’re everywhere in the information we read. Numbers are used to quantify something, to interpret a message in order to take action. I often come across numbers and marvel at how unruly, complex, and confusing they can be. I think about others – the patients I work for and the adult learners I tutor and wonder how numeracy skills affect them. I think about an adult learner I tutor – Anna. Anna is 45 years old and has basic literacy skills – she reads at about a fifth to sixth grade reading level. Anna often brings magazines and books for us to tutor from. She talks about recipes she’s tried over the weekend. As we look at recipes to try, I discover she has difficulty with numbers, particularly fractions and measurements. She often follows a recipe’s ingredients but estimates portion sizes. Now let’s just interplay my work as a health educator and my tutoring experience. What if Anna were living with diabetes? What might be the role of numbers in her life? Anna would need to understand the nutrition content of foods, portion sizes, blood glucose numbers and ranges, and how to accurately take pills or injections. Numeracy skills would be a critical part of Anna’s daily diabetes management. Write down the results of your before- and after-meal blood sugar in the log below. Write down the results of your before and after-meal blood sugars in the log below. …do you know things about health lit? hello dear reader. You cna’t see me! 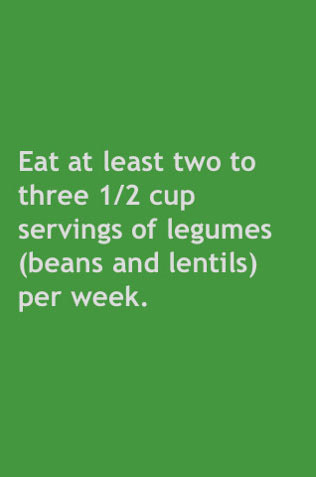 *If your blood sugar numbers are in the high or low ranges, follow your doctor’s instructions on what to do to treat low or high blood sugar. Studies have shown that people with low or even basic literacy levels often have poor understanding and control of their conditions and are less likely to actively participate in their healthcare decision making – whether that be making and attending appointments, clearly understanding what healthcare providers communicate, or accurately taking medication. And as the trend in chronic health care moves toward more patient self-management and collaborative team care, health literacy – and numeracy –become even more important. As experts and professionals working with adult learners, we can support learners’ health literacy and numeracy skills by making clear communications for use in the field, in research and practice, and by touting valuable resources for healthcare providers to use with patients. Erika Heiges is the Director of Health Education at HealthEd. Health literacy is a nebulous concept. It relates to a variety of challenges that exist in the health care system and solutions that are ever evolving. Since Health Literacy Missouri opened for business in December 2009, we’ve continually refined how we talk about “health literacy” and how to relate it to our various audiences. As we celebrate Health Literacy Month, we want to share some of the main points we’ve come up with as we’ve developed our trainings over the course of two years. Our hope is that it inspires your own “elevator speech” about health literacy. Health literacy is the bridge between the patient and the health care system. It is about giving patients the ability to make good health decisions in their everyday lives. Approximately 90 million American adults have basic or below basic literacy levels. This is roughly the combined populations of Belgium, France and the Netherlands. 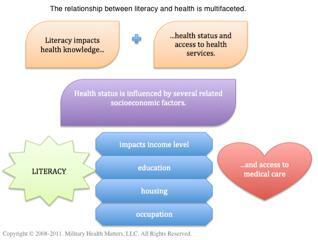 Low health literacy costs the United States economy between $106 billion and $238 billion a year. This would be enough money to insure 47 million people – the entire populations of California and Missouri combined. Follow the Health Literacy Universal Precautions Toolkit , which offers step-by-step guidance and tools for assessing your practice and making changes to better connect with patients on all literacy levels. Apply these basic plain language principles when communicating verbally: slow down, move from points that are most important to know to least important, break complex information into chunks and limit your message to 3-5 main points. Use teach-back, a method that lets patients describe concepts in their own words and explain or demonstrate how they will do a treatment. What health literacy messages and practices do you use? For more information about our organization and health literacy, visit our website. Albert Lang: Celebrating the Spirit of Moving Your Feet! When you think October, you think candy, costumes and revelry. However, October is also Health Literacy month – an interesting pairing to say the least. The best thing about Halloween is all of the walking and running and laughing – basically fun in and of itself! We need to make this kind of exercise available to all on a regular basis. If we’re ever going to turn the tide on the obesity epidemic, we need to find ways to make it easier and safer for people to walk, run, bike, and just get moving. Right now, about 23 percent of Americans say they do not participate in any form of physical activity and only about half of us reach the minimum recommended levels of exercise. Clearly, people need to take responsibility for their own health – but it doesn’t hurt to get a little help from your friends, family, community or even the government! Recently, Senator Tom Harkin introduced the Safe and Complete Streets Act of 2011 which will help the country get smarter about how we think about transportation projects — so we aren’t just focusing on planes, trains and automobiles, but also on ways to use our feet. The Act would ensure federal transportation projects are efficient and promote better health for all. Where we live, learn, work, and play all have a major impact on our health. This Act is part of a broader movement within the federal government to focus on “health in all policies” – the notion that everything from education, transportation, housing, etc. has an impact on health. The government has begun to do its part to make it easier for individuals to make the healthy choices for themselves and their families. The collaboration of different government agencies fits under the National Prevention Strategy (NPS) umbrella. The NPS, coupled with the Prevention and Public Health Fund – an historic investment in improving the country’s health and quality of life, reducing health care costs for families and businesses, and increasing productivity so the country can compete with the rest of the world – commits the federal government to doing its part to ensure all Americans have the opportunity to be as healthy as can be. TFAH is committed to ensuring this strategy is fully implemented and that we build support for the movement around the country so we can fulfill the promise of a healthier America. Finally, the federal government its building awareness of how people can live a healthier and happier life.